This image was taken in my favourite bar in Dublin, Ireland. It has just opened this year at some point and from that moment on I became a regular, hehe. 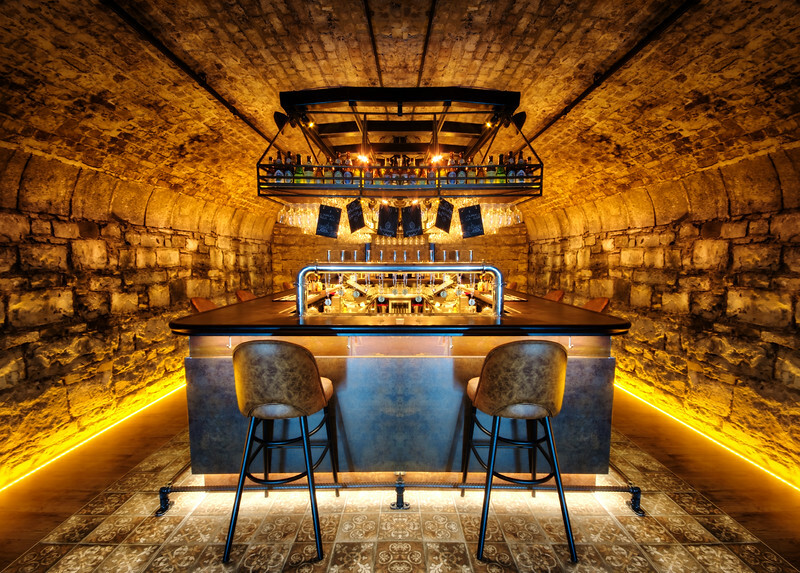 The cool thing is that this is not even the main part of the bar itself - there is a ground level with a beautiful outside area, and if you do not go downstairs, you will never find this cave stile part of it. If you get a chance, do visit and have a relaxed drink - and while you are there, check with the personnel if you can take a quick snapshot downstairs :) Thanks to the management to invite me to a full shoot there.